Rashad felt like a failure. No matter the job, he was never able to earn enough to feed his family. His children would go hungry each day. It was never enough. He began to look for a solution, but without an education, he could only find work as a day laborer. He dreamed of opening a business but had no money to start. Rashad found a way out through GFM. Although he was an unlikely entrepreneur, he proposed a business plan to our micro-loan branch. 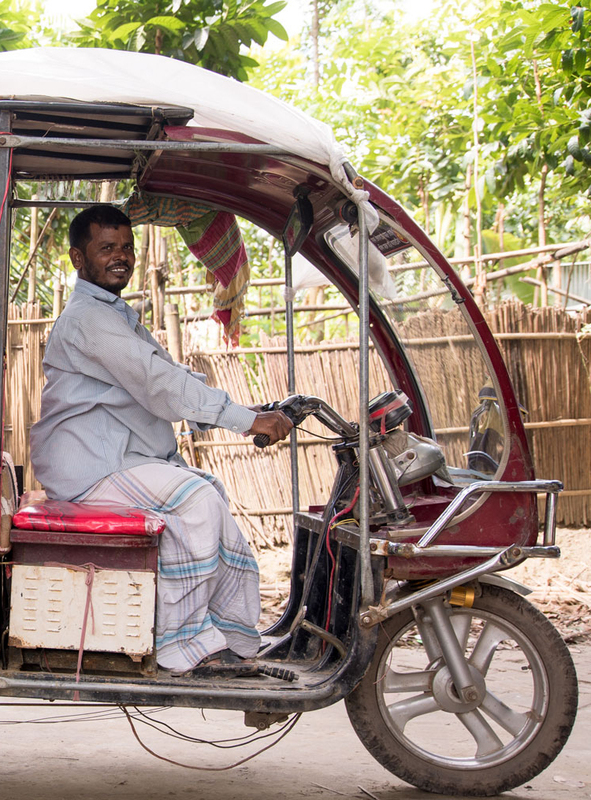 He would buy a motorized rickshaw and operate his own taxi service. Our micro-loan branches have invested over $4,000,000 in poor communities. In poor rural villages of South Asia, GFM is growing local economies. We loan small amounts for farmers to expand and entrepreneurs to start businesses. Without these economic development opportunities, families continue in cycles of poverty. When you change the economy, you impact every area of life. 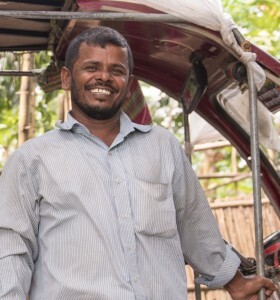 With his micro-loan from GFM, Rashad was the first in his family to start a business and earn enough income to break the cycle of poverty. Because of his flourishing taxi service, his children were the first to attend school instead of working to support the family. Just one micro-loan changed everything. GFM is serving over 250,000 people holistically to overcome poverty. We believe micro-lending is the most sustainable and effective way to alleviate poverty. GFM’s holistic, self-sustaining approach reaches out to the most vulnerable populations in impoverished communities. After the loan gets repaid, it is immediately reissued to another qualified applicant, and multiplies forever. By investing in the economic development of people like Rashad, you can empower families to come out of poverty with dignity — while bringing them the opportunity to experience spiritual transformation as well.